Referees: Milanovič, Mohorič, Španič (SLO). Venue: Sports hall Šenčur (SLO). 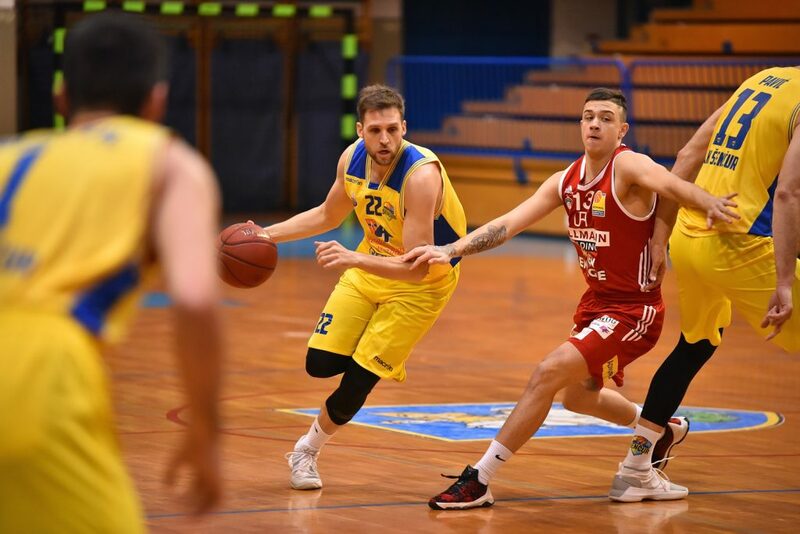 Scorers KK Sencur GGD: Pavič 20, Murič 19, Martinčič 18, Rizvić 12, Popadić 11, Markovič 8, Novak 3, Zadnik 3. Scorers BC Hallmann Vienna: Haughton 19, Radakovics 19, Detrick 14, Trmal 6, Kos 4, Trbović 4. At sports arena Šenčur home team started much better than guests from capitol of Austria. Early three pointer came from Nejc Martinčič -twice and especially captain Smiljan Pavič was unstopabble. He scored 10 points in the first six minutes. Second quarter Šenčur striked again with Martinčič and Dino Murič who was offensively in a very good mood. Players from Vienna didin’t catch home rhythm and couldn’t defend Šenčur’s strikes coming from everywhere. After first three pointer scored Ramo Rizvić the distance became really very big (52:27). In the first half Šenčur’s shooting percentage was extremely good (61%) in another hand guest team percetage was not so good (31%). Third quarter Šenčur kept their gap for the next five minutes. When Vienna’s guard Radaković scored his 14 point home coach Mijanović took timeout (59:41). After one minute home players didin’t allowed Vienna to came closer, so advantage before last quarter still remain (69:45). Last period the score difference was moving around +20. Five minutes to go home captain Pavič took some rests, unfortunatly Vienna’s David Houdson has twisted ankle. Šenčur scored some easy points and the winner was known. Both coaches took opportunity and gave some minutes to younger players. 2019©Alpe Adria Cup. All rights reserved.